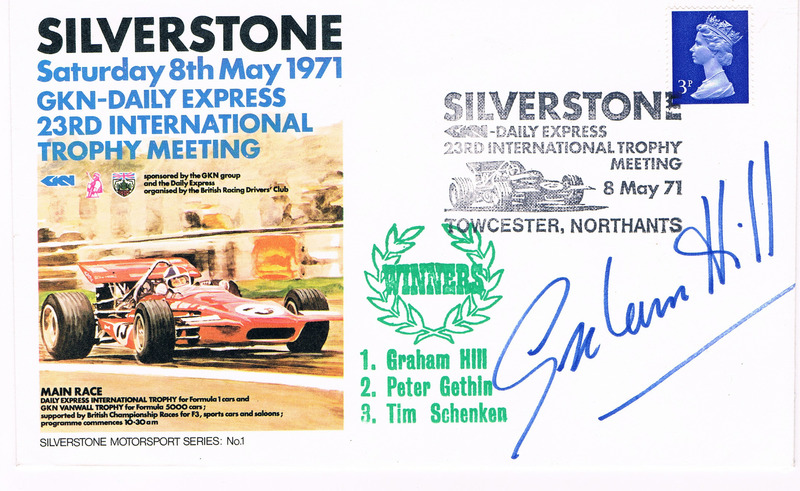 Graham Hill Signed Silverstone Racing Postal Cover. 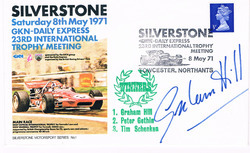 Purchased from Daily Express in 1971. Sold to Mark Homan 11/22/11.